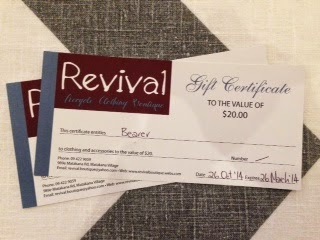 for donating $40 worth of clothing vouchers. Revival sell really good quality, new & used fashionable clothing. They have a large range of NZ designer labels, vintage and retro clothing.